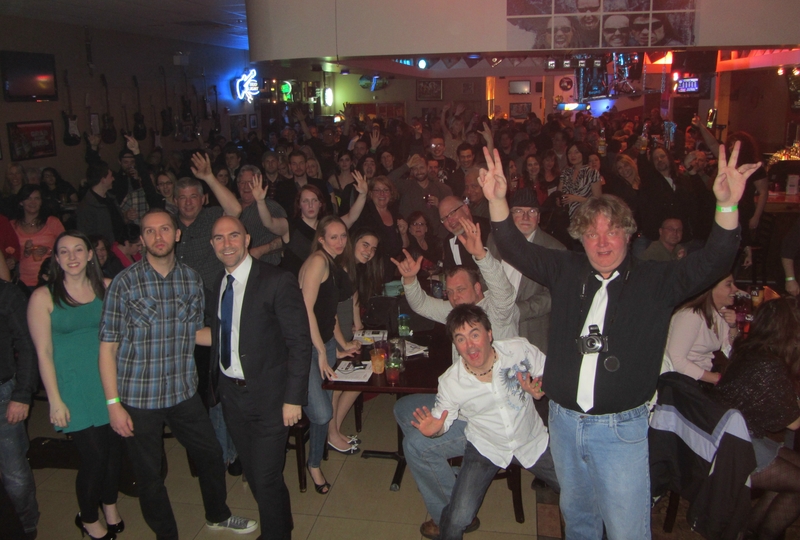 It was a fun time at South Shore Music Hall in Quincy, Mass., last night! Once again, we increased our attendance over the previous year, making it the most attended music awards show ever! If you weren’t there, you missed some really cool performances from Krista Baroni, Brian Carroll and Ian Fitzgerald, Brianna Grace, Jilly Martin, Jay Psaros, Ten Foot Polecats, 21st Century Fugitives, and Weld Square. We’d like to thank all of the nominees, the staff of South Shore Music Hall, the radio DJs who helped promote the event, and everyone who attended. We’d also like to offer an extra special thanks to Theresa Andrewski and Matthew Almquist, of Beautiful Tuesday, for co-hosting the awards ceremony. You are two amazing people! It means so much to us that you took time out of your schedules to make it such a special night for everyone! Here’s the final run down of all the nominees, including the winners and runner ups. Congratulations to everyone listed on this ballot! Limelight Magazine is pleased to announce that Extreme will receive the Legend Award at this year’s sixth annual Limelight Magazine Music Awards ceremony that will take place at South Shore Music Hall in Quincy, Mass, on Saturday, March 22, 2014. Founded in Malden, Mass., in 1985, Extreme has released five groundbreaking studio albums and have sold over 10 million albums worldwide. The band had their greatest success with their 1990 album Pornograffitti, which peaked at number 10 on the Billboard 200, and was certified multi-platinum. The album featured the acoustic ballad “More Than Words” that reached #1 on Billboard’s Hot 100 in the United States. The subsequent single, “Hole Hearted”, another acoustic track, was also successful, rising to #4 on the same popular music chart. 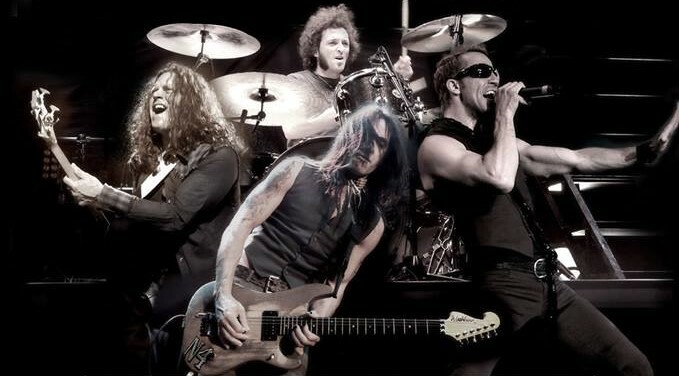 The band’s current lineup consists of lead vocalist Gary Cherone, guitarist Nuno Bettencourt, bassist Pat Badger, and drummer Kevin Figueiredo. They released their latest studio album, Saudades de Rock, in 2008. They are currently gearing up for a tour of Europe where they will play Pornograffitti in its entirety plus some of their biggest hits. 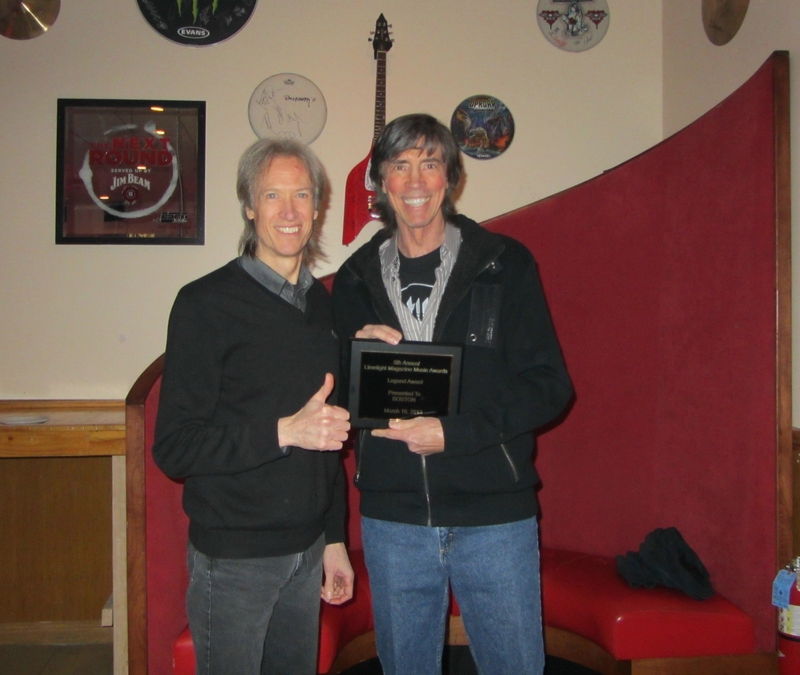 The Legend Award is presented annually to a band or musician from New England who has been around for at least 25 years and is still going strong today. Past recipients of this award include BOSTON (2013), The Fools (2012) and MASS (2011). The Limelight Magazine Music Awards honors bands and musicians from New England who were selected by readers of the magazine in an online poll. This year’s event will be hosted by Matthew Almquist and Theresa Andrewski of the Cape Cod-based band Beautiful Tuesday. Performers scheduled to appear include Krista Baroni, Brian Carroll, Brianna Grace, Jilly Martin, Jay Psaros, Ten Foot Polecats, 21st Century Fugitives, and Weld Square. South Shore Music Hall is located at 1515 Hancock Street in Quincy. The venue has a full bar with a limited food menu. Parking is free. Tickets for the awards show are $10 in advance and $13 day of show. They can be purchased online at this link: http://www.brownpapertickets.com/event/555722. Limelight Magazine started out as a quarterly print publication, but has since moved its operations online, with the exception of an annual summer issue. Visit their website at www.limelightmagazine.com. You can also like them on Facebook at www.facebook.com/limelightmagazine. Limelight Magazine is pleased to announce that singer-songwriter, Ayla Brown, will receive the Unsung Hero Award at this year’s sixth annual Limelight Magazine Music Awards Ceremony that will take place at South Shore Music Hall in Quincy, MA, on March 22nd. Brown, who placed among the top 16 finalists on season five of American Idol, has supported a number of charitable causes over the years. Most recently, she released a country music, patriotic-inspired solo album titled, “Heroes & Hometowns,” and donated a portion of the proceeds from the sale of the first 2,000 CD’s sold to a military non-profit based out of Massachusetts called, Hugs for Heroes, Inc. This past Veteran’s Day, Brown presented Hugs for Heroes, Inc. with $5,000.00 live on FOX25. Still to this day, it is the largest one-time donation made to the organization. Furthermore, Brown has appeared in concert at Fenway Park on multiple occasions to help the Boston Red Sox and the players with their charitable endeavors including “Life Is Good At Fenway,” “Hot Stove, Cool Music,” “Jimmy Fund” with WEEI radio, and the “Beckett Bowl.” She also offers her vocal talents and time to the organization, “Songs of Love,” where she is currently a spokesperson, as well as singing and recording songs for ill-stricken children. The Unsung Hero award is given to a musician from New England who has made a significant contribution to the lives of others without asking for anything in return. Brown is the second recipient of this award. 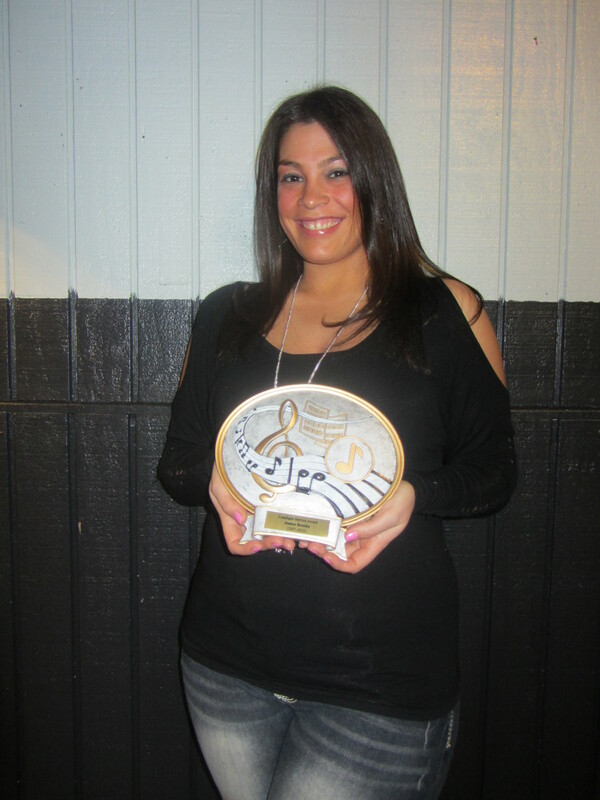 Last year, it was presented to Lisa Guyer who founded the Lisa Guyer Music Empowerment Program. Katie Botelho, co-owner of Limelight Magazine, said it’s an honor to present this award to Brown this year. The Limelight Magazine Music Awards honors bands and musicians from New England who were selected by readers of the magazine in an online poll. 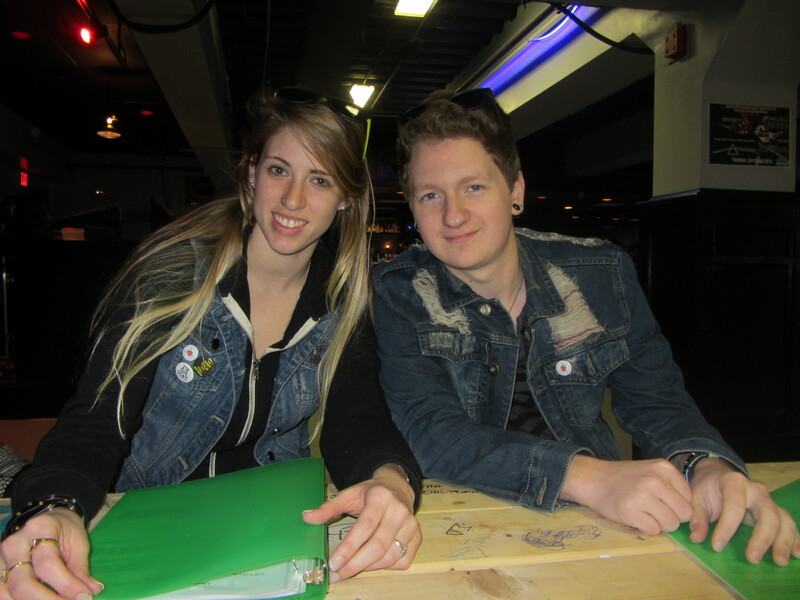 This year’s event will be hosted by Matthew Almquist and Theresa Andreski of the Cape Cod-based band Beautiful Tuesday. Performers scheduled to appear include Krista Baroni, Brian Carroll, Brianna Grace, Jilly Martin, Jay Psaros, Ten Foot Polecats, 21st Century Fugitives, and Weld Square. As to how the nominees were selected, we simply took the top eight artists who received the most nominations by e-mail and placed them in each category. Some bands received as many as 40 nominations. Anyone who won an award in a specific category last year is ineligible to be nominated for that same award this year, unless it’s for new music being released (such as a song, album, or video). Public voting begins today and ends at 11:45 PM on Friday, Feb. 7. 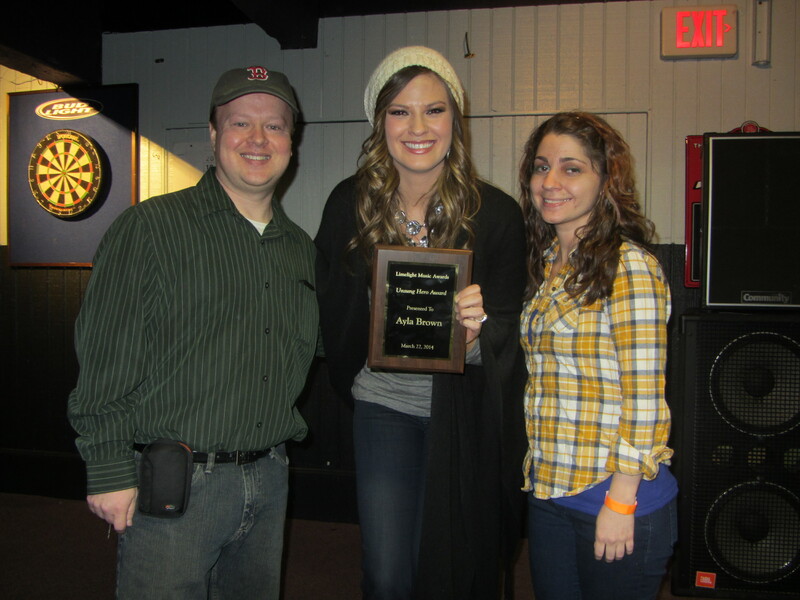 An all-ages awards ceremony will be held at South Shore Music Hall in Quincy, Mass., on Saturday, March 22, 2014, at 7:30 p.m., where the winners will be revealed. Advanced tickets can be purchased online HERE. Tickets will also be available at the door on the day of show. Like last year, eight artists will be randomly selected from all the nominees and asked to perform at the awards show. Performing at the ceremony does not mean that artist has won an award. Check out the list of nominees below and be sure to vote in our poll HERE. Here’s one final run down of all the nominees, including the winners and runner ups. Kudos to every single one of these great musicians for making the local music scene vibrant in New England!!! Limelight Magazine is pleased to announce that BOSTON will receive the Legend Award at this year’s fifth annual Limelight Magazine Music Awards ceremony that will take place at the Rock Junction in Coventry, R.I., on Saturday, March 16, 2013. Founded in 1976 by guitarist, keyboardist, songwriter, producer and engineer Tom Scholz and the late Brad Delp, BOSTON is a staple of classic rock radio playlists. Their best known songs include “More Than A Feeling,” “Peace of Mind,” “Foreplay/Long Time,” “Rock and Roll Band,” “Smokin’,” “Don’t Look Back” and “Amanda,” among others. BOSTON has released five studio albums and one compilation album, selling over 31 million copies in the United States. Their self-titled debut album has sold over 17 million copies and is one of the biggest selling albums of all time. The band toured the United States last summer and is expected to release a new studio album in the near future. 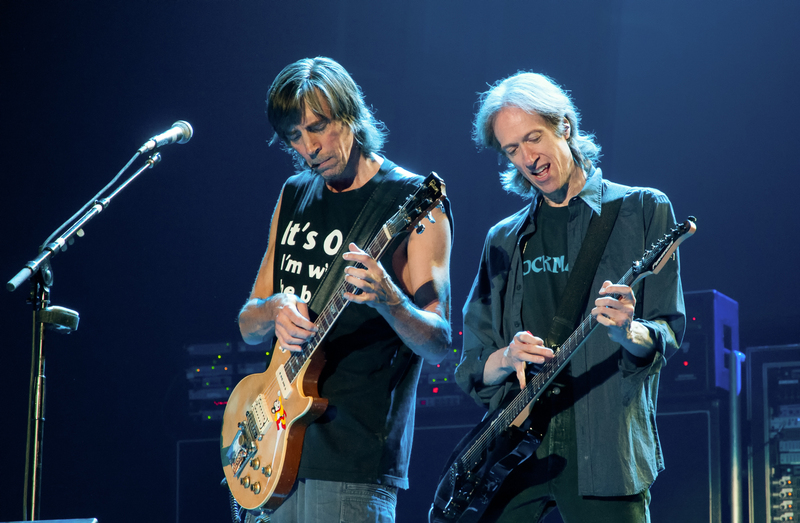 There have been numerous talented musicians touring with BOSTON over the years, but the one constant alongside Tom since 1985 has been Gary Pihl, whom Tom views as indispensable to the band’s live performances. 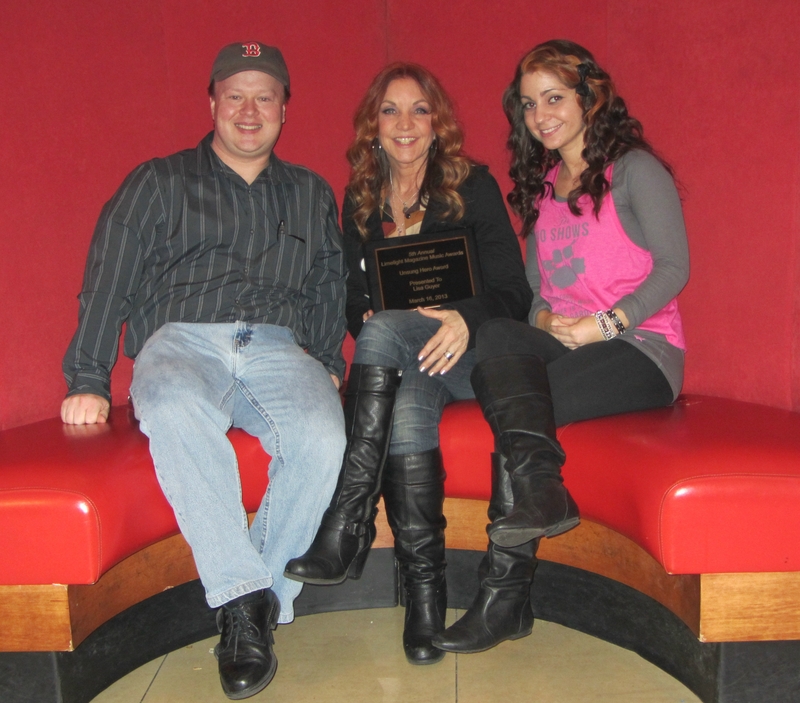 “We are very excited to present the Legend Award to BOSTON at this year’s music awards,” added co-owner Katie Botelho. Past recipients of this award include MASS and The Fools. The Limelight Magazine Music Awards honors bands and musicians from New England who were selected by readers of the magazine in an online poll. This year’s event will be hosted by singer-songwriter Sarah Blacker. Performers scheduled to appear are Samuel Bowen and Blue Cat Groove, Jeff Byrd and Dirty Finch, Fly Kite Canvas, Brianna Grace, The Great Escape: A Tribute to Journey, Ashley Jordan, Satellites Fall and Carlin Tripp. The Rock Junction is located at 731 Centre of New England Blvd. in Coventry, R.I. The venue has a full bar and dinner menu. Parking is free. Tickets for the awards show are $10 each and $12 day of show. They can be purchased online through http://www.brownpapertickets.com. Limelight Magazine started out as a quarterly publication, but has since moved its operations online. Visit their website at www.limelightmagazine.com. You can also like them on Facebook at www.facebook.com/limelightmagazine. “It seems each year, the award show gets bigger and better and we wouldn’t want it any other way,” said Botelho. 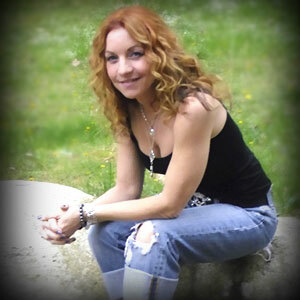 Limelight Magazine is pleased to announce that singer-songwriter Lisa Guyer will receive the Unsung Hero Award at this year’s fifth annual Limelight Magazine Music Awards that will take place at the Rock Junction in Coventry, R.I., on March 16, 2013. Guyer, who is the front woman for the band Mama Kicks and a vocalist on Sully Erna’s solo album Avalon, founded the Lisa Guyer Music Empowerment Program this past summer in New Hampshire for young adults between the ages of 13 and 18 to help them find their own “it” factor through music, movement and motivation. The five-day program encouraged participants to explore their own innate creativity by giving them access to the tools necessary to nurture their inner artist. Limelight Magazine co-owner Jay Kenney felt that Guyer was the ideal person to be the first recipient of this award.